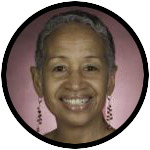 As we observe Black History Month in 2018, examining the early history of the Oblate Sisters of Providence can teach us several important lessons. The sisters proved exceptional in 19th-century America: They were black and free in a slave society that privileged only whiteness; female in a male dominated society; Roman Catholic in a Protestant society; and pursuing religious vocations in a society doubting the virtue of all black women. Immigration can prove a disorienting experience that deprives newcomers of the comforts of the familiar, customary resources and previous social identity. Rather than descend into depression or helplessness, the founders utilized their religious convictions to affirm themselves as Catholics and to serve other people in the refugee community by opening a school for children in her home. Shared traditions attracted Sulpicians and San Domingan exiles to each other, bound together by their French language and cultural heritage and their profession of the Catholic faith. 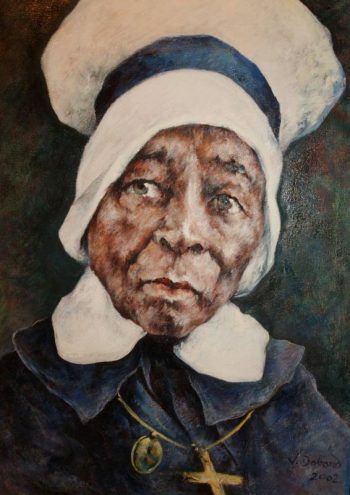 Oblate co-founders Sulpician priest James Hector Joubert — a French refugee — and educator Elizabeth Clarisse Lange — a Caribbean refugee — met in Baltimore in 1828 and created a black religious community to educate black girls, a feat that challenged prevailing social and episcopal attitudes about race and gender. The persistent denial of the humanity of all black people stemming from the racial basis of slavery in the United States convinced most white people in America — including the Catholic hierarchy — of universal black inferiority. Throughout the 19th century, uncertainty about the Oblate Sisters as black women religious plagued the U.S. Catholic Church. The school’s established reputation and the competence and commitment of its dedicated staff of teachers, the Oblate Sisters of Providence, came to symbolize for many black people — regardless of their religious affiliation — both an affirmation of black humanity and the standard of excellence achievable in a hostile environment. During these dark days when our political leadership misrepresents immigrants of color particularly and people of color in general as criminal or lazy elements — enemies to exclude and fear — we would do well to recall the facts of our historical reality that inclusion and diversity benefit the nation as a whole. NEXT: A welcoming spirit, or a sense of the enemy? It is gratifying that stories such as this one are finally coming to light. It is unfortunate that the Church did not exert a greater effort to evangelizing blacks, both free and enslaved in the past. It missed a great opportunity to have a positive effect on race relations both prior to and after the Civil War. While not as accommodating to slavery as the Protestant churches, Catholics were not as pure on the issue as Quakers and could have gone a long way to making amends for the past injustices.